A Childrens Snowman Costume including a Tabard with Hood – Ideal for Christmas, a School event, or any festive fancy dress occasion! 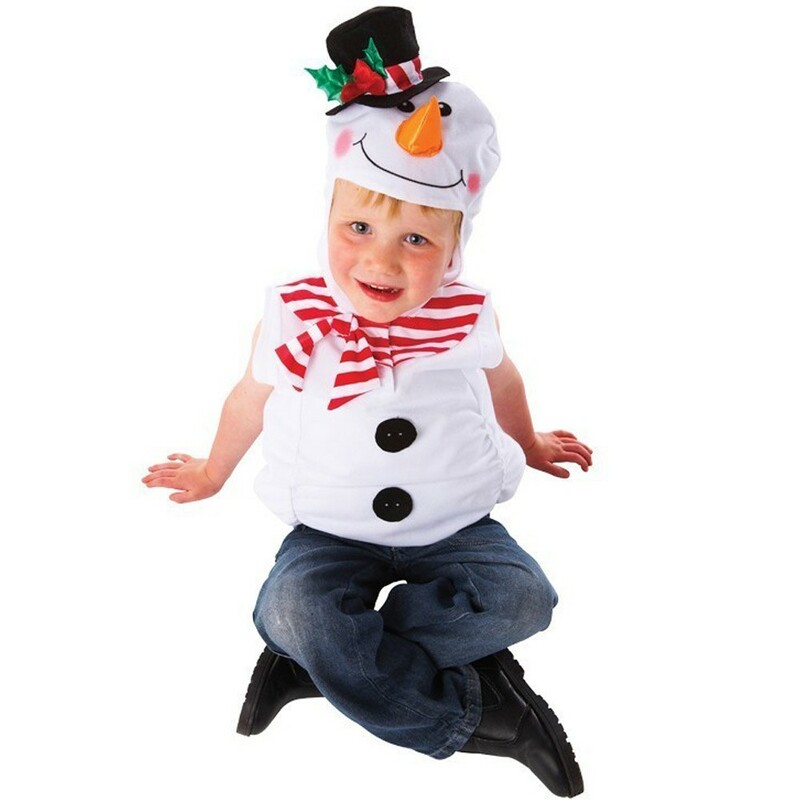 Transform yourself this Christmas, with this fantastic Childrens Snowman Costume. This amazing Childrens Snowman Costume comes complete including a Tabard with Hood. This white Tabard features a padded tabard, black button details down the front, and a red and white striped Scarf around the neck. This Childrens Snowman Costume also features an attached Hood, which features a cute Snowman character padded head, with an attached mini black Top Hat, which features a red and white stripe band and a green and red Holly detail, to complete this look. Perfect for any Christmas Party, a School event, or any festive fancy dress occasion, this Childrens Snowman Costume will be sure to impress! So let the festivities begin with this incredible Childrens Snowman Costume.